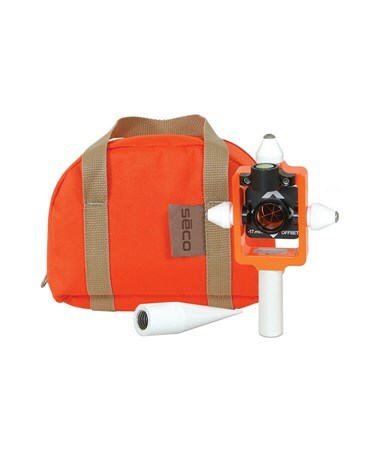 The Seco Nodal Point Stakeout Mini Prism Kit provides surveying professionals with a 25 millimeter, copper-coated prism with a 0/-17.5 millimeter offset. Secured within a fluorescent orange aluminum housing, this mini prism also features white site cones on both sides and its top surface. These site cones improve vertical angle pointing and serve as tilting-axis knob locks. An adjustable level vial with 40-minute sensitivity is also located at the top of this mini prism assembly. You can mount this mini prism assembly to four differents heights of 50 mm, 100 mm, 115 mm, and 150 mm. 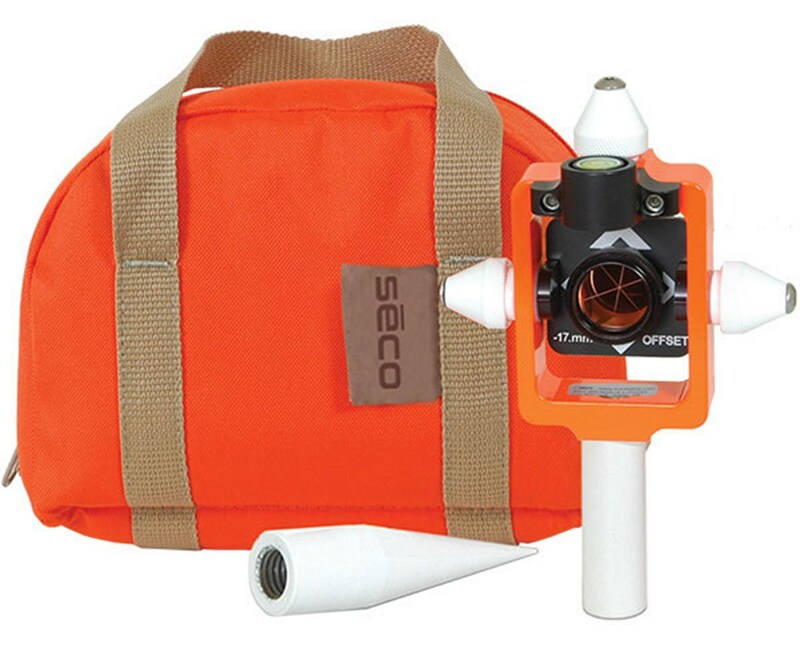 This Seco mini prism assembly offers one 5/8 x 11-inch thread on top and one on the bottom. The kit includes a white adapter that makes the prism height 115 mm for use with most prism poles, a white point for using your mini prism for handheld applications, and an orange, nylon carrying case for storage and transport.